https://societystacktrace.files.wordpress.com/2011/12/5460.mp3 Geoffrey Cohen went to school in Johannesburg, at King David Linksfield, at times wondering about the rote prayers he was taught and if there was more to serving & knowing God. He experienced anti-semitism in the South African army (and mentioned this is the same spirit that is behind racism also). He spent some time in Israel & now lives in Texas. You can see some of his messages & his personal story here. Growing up thinking that Jesus was the son of Mr & Mrs Christ he was shocked, years later, by Psalm 22 that eventually pointed him to the real Messiah, quoted below (even given the “like a lion” translation ‘issue’ that anti-missionaries often raise). He never even knew or considered that Jesus was actually Jewish … and the anti-semitism he encountered from ‘church people’ didn’t give him much reason to think so either. 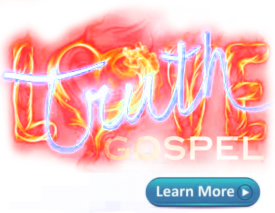 Is Psalm 22 a messianic prophecy? We would need to consider, among other things, how the Jewish sages of old interpreted this Psalm before the influence of the ‘Christian era’ was felt by many Jewish commentators to review ancient interpretations in a more “non-Christian” light … and yes, there is support for the “Christian interpretation”, from Rashi, no less (among others) as mentioned at the bottom of the post. Audio extract from Line of Fire Radio. Listen to full audio here. Quote: For example, at the outset of his comments on this psalm, Rashi says, “They [meaning the people of Israel] are destined to go into exile and David recited this prayer for the future.” Commenting on the words “I am a worm” in 22:6, Rashi notes that David “refers to all Israel as one man,” and he interprets specific verses with reference to later historical figures such as Nebuchadnezzar (22:14). How then can Rabbi Singer claim that the psalm does not “speak of any future event”? Jewish tradition says that it does! In fact, Rashi explains verse 26 with reference to “the time of our redemption in the days of our Messiah,” then interprets verses 27-29[28-30] with reference to the Gentile nations turning to the Lord, the end of the age, and the final judgment. These certainly are future events, also underscoring the worldwide redemptive implications of this psalm. It is very interesting to see how Pesikta Rabbati, the famous eighth-century midrash, put some of the words of this psalm on the lips of the suffering Messiah (called Ephraim, but associated with the son of David), citing Psalm 22:8, 13–14, and 16 in the context of Messiah’s sufferings. In fact, the midrash explicitly states that “it was because of the ordeal of the son of David that David wept, saying My strength is dried up like a potsherd (Ps. 22:16).” Did you catch that? According to this respected Rabbinic homily, David described the Messiah’s sufferings in Psalm 22! From: Answering Jewish Objections To Jesus, Volume 3.
https://societystacktrace.files.wordpress.com/2011/12/117429.mp3 Gray deceased artefacts of history, like Hume, combined with prevailing Scientism had & continue to have a great impact on past & present thought around the miraculous, but books like Keener’s points out that the prevailing view is actually very unreasonable. Biography: Craig Keener is professor of New Testament at Asbury Theological Seminary, Wilmore, Kentucky. Three of his many books have won national awards, and his background commentary has sold over half a million copies. 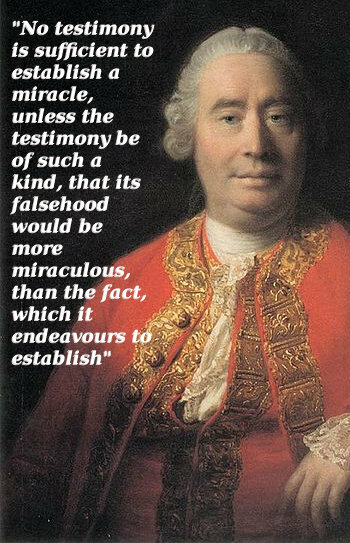 Most modern prejudice against biblical miracle reports depends on David Hume’s argument that uniform human experience precluded miracles. Yet current research shows that human experience is far from uniform. In fact, hundreds of millions of people today claim to have experienced miracles. New Testament scholar Craig Keener argues that it is time to rethink Hume’s argument in light of the contemporary evidence available to us. This wide-ranging and meticulously researched two-volume study presents the most thorough current defense of the credibility of the miracle reports in the Gospels and Acts. Drawing on claims from a range of global cultures and taking a multidisciplinary approach to the topic, Keener suggests that many miracle accounts throughout history and from contemporary times are best explained as genuine divine acts, lending credence to the biblical miracle reports. Line of Fire Radio. Listen to full audio here. Answer: “The Temple is like blood to the body… if only the world knew how important the Temple was…”. Israel National Radio, listen to full audio here. 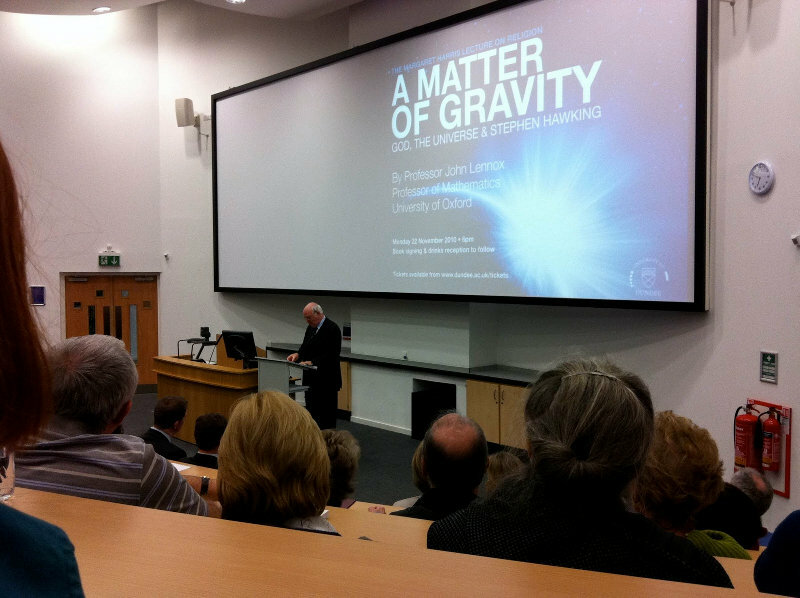 https://societystacktrace.files.wordpress.com/2011/10/82115.mp3Audio: A lecture touching on all these elements by John Lennox. Note, however, that this statement is extreme Scientism and that it is logically incoherent in itself. It is not a statement of science but an article of blind faith. Thus by its own assertion we cannot know if it is true. Note the use of the term “blind faith” because it likely describes a belief held in spite of evidence. It is, as obviously true to most people, possible to have such knowledge of right and wrong, even though it is clearly beyond the scope of science. https://societystacktrace.files.wordpress.com/2011/10/153881.mp3Audio: Discussion of the authority by which the new Sanhedrin has been established & a challenge to rabbis that are not used to the concept. Some discussion on progress in the ‘recognized legal standing’ Sanhedrin – some measure of (secular) government recognition thus far. Also some comments on restarting the sacrificial system. See also the Korban Pesach (Passover Sacrifice) page from the main Sanhedrin website. Note that the re-established Sanhedrin is very likely to have implications in terms of where we are in the prophetic timetable – in case you’re wondering what the relevance of this post is. Reasonable Faith Podcast. Listen to full audio here.